Every type of business requires certain strategies to sustain growth. 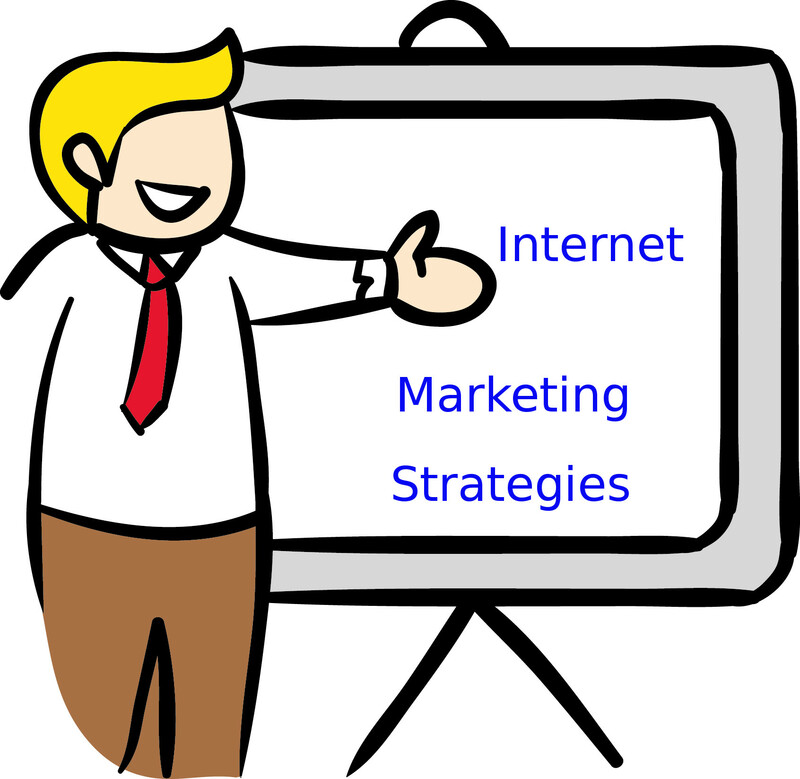 The strategies for internet marketing success do vary slightly in the way you administer them but the basic strategies themselves are pretty much the same. In this article, I discuss 5 basic strategies that you’ll need to learn – and implement – if you want to succeed in your internet marketing activities. All businesses must offer a product for sale. The only reason to be in business is to make money. There are a variety of products that you can sell online to make money for your business and those fall into two different categories. Those are services, physical products, and digital products. In this article I’ll focus is on selling some sort of physical product or digital product for internet marketing success. A physical product is that item which is delivered by mail or a transport service to a physical address. A digital product comes in the form of a book, a training course, an audio, a video, or a software application that is electronically downloaded via the computer or smart phone. Some digital products can also be sold as physical products and some software applications are cloud based and not downloaded. By cloud based I mean that you operate them from your electronic device but they are housed somewhere on the internet. You either market these products as an affiliate marketer or you create them yourself and sell them as your own product. An affiliate marketer gets a personal link for a product from that product’s creator and receives a percentage of the selling price as a commission when that product sells through his personal link. As a product creator yourself you can establish your own affiliate program and have a sales team ( a group of affiliate marketers) sell your product for you – magnifying your internet marketing success. You pay them the commission for each sale they make and you keep the remaining profits. For every sale of your product that you personally make you keep 100% of the profit. This is, of course, the most profitable way for you to market online. When you advertise the product you send the interested people to a web page, also known as a squeeze page or landing page. It’s important that this web page is unique to you and your business. This is easy enough when you market your own product because you publish your product’s sales page and the squeeze page for it on a domain that you own. When you market an affiliate product you need an extra tool to execute this strategy. That tool is called a cloaking device or a cloaking software application. The reason for this is that when you find an affiliate product that you want to market and apply for an account to market that product as an affiliate the product owner gives you what is called an affiliate link. That link is specific to you and you can use it for advertising but doing so can cost you sales. The affiliate link that you get from the product owner looks something like this – http://productownerswebsite.com/affiliateID=ABCD. If you do advertise that link when someone clicks on it the product owner knows it was you who sent that person and if that person buys you get the commission. The problem is that the person can easily delete the /affiliateID=ABCD from the end of the link and go buy the product. When that happens the product owner thinks the buyer came from one of his advertisements and he keeps 100% of the profit. And you just lost a sale. So you use a cloaking device on your site and turn that link into one that still identifies you to the product owner but looks like it’s your product to the potential buyer because he thinks he’s still on your website. The link will redirect to the product owner’s landing page while looking like it’s still on your page, identify you as the sender of the buyer to the product owner, and you get the commission. I expect that after reading about the cloaking strategy you realize that maintaining online real estate of your own is a good idea. It isn’t an absolute must but it will certainly accelerate your internet marketing success. Before the web came along all businesses were pretty much housed at physical addresses. It’s the location of that address that business owners advertised along with their product marketing to attract customers. That physical location is where the product sales were actually made. Internet business is slightly different. Online your business is housed on your website and the address of your website is the domain name or Uniform Resource Locator (URL) and it looks like http://yoursite.com. That’s where your customers will go to buy your products and that URL is what you’ll advertise as the destination where your potential customers will go to have a look at your offerings. Yes, those are affiliate links. They are cloaked as http://discoverhowtoworkfromhome.biz is a business URL that I own. Of the two I prefer Namecheap. Why? Their domain prices are lower and in my opinion, their support is much better than Hostgator’s. I also use Namecheap to host some of my domains. Once you have your own domain name you need a hosting service to give it a home where people can visit it online. The hosting service is who provides that home for your URL. I’ve been with Namecheap for a few years now and have never been disappointed with their domain registration or hosting services. You can find other Registrars and hosting services by searching online – the choice is always yours. The best path to internet marketing success is your ability to establish relationships with your potential customers and that involves a lot of time if you don’t have a way to automate your marketing communications with them. You have to send them a lot of information to make them trust you and get them to realize that you are actually a real person. An autoresponder is a software application that you’ll use to automate your relationship building messages for your prospects. It collects the contact information of your subscribers (those who sign up to your mailing list to get emails from you. You pre-load a series of informational relationship building emails – along with the occasional product link – into the autoresponder and determine a schedule for the individual messages to be sent. Then the autoresponder sends those messages as the schedule says. You do the work of creating the sequence of messages, load them into your autoresponder, set up the squeeze page for the autoresponder to use to capture the contact information and the autoresponder emails your messages from that point forward to everybody who signs up to your mailing list. Do the work once, then relax and let your autoresponder take over. In order to figure out if your advertising is working or not you need to track your statistics. You need to know if your marketing messages are actually sending prospects to your capture page. You need to know how many visitors you’re getting and how many of those visitors are converting to sign ups to your list. And you need to know how many of those sign ups are actually buying your product. For that, you must use some form of tracking software. With that, you can create individual links for testing different forms of marketing messages to see which ones are working best and figure out what changes can be made to make those messages work even better. There are a lot of these tracking software applications available and you can search for them with a search engine. The most popular application for tracking, at least for beginning marketers because it doesn’t cost anything, is Google’s analysis software. You submit your link, Google tracks for the stats you want, and you get a report telling you how your link is doing. 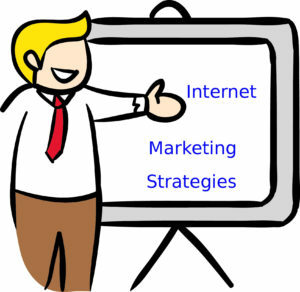 There are many strategies for internet marketing success in addition to the 5 that I discuss here. And you’ll be wise to continue your education by studying other techniques as your business grows. But these 5 marketing strategies will form the foundation that your business is built on and start you toward the goals you seek for your internet marketing efforts. Learn them well and put them to consistent use and you’ll watch your growth accelerate.